New analysis of a previously known scrap of a Biblical text provides fascinating insight into the formation of the Hebrew Bible. Known as the Ashkar-Gilson Hebrew Manuscript #2, the text is a remnant of a Torah scroll from the seventh or eighth century C.E. and contains a crucial section of the Book of Exodus. Although the fragment came to light more than three decades ago, it was disregarded by scholars and remained unpublished. 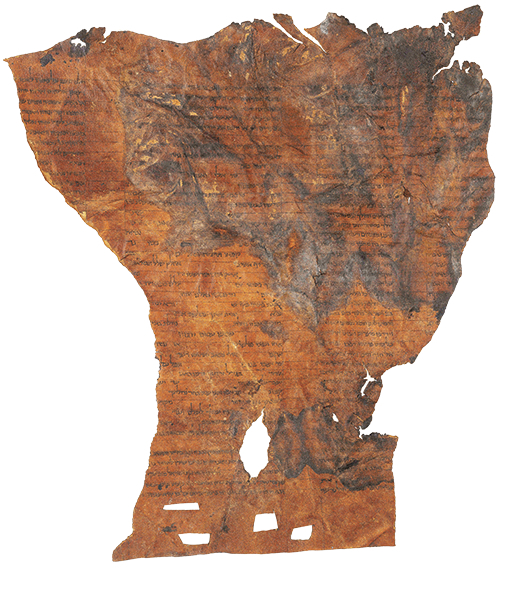 But a recent analysis shows that this damaged sheet fills a gap in our knowledge regarding the transmission of the Biblical text. The Masoretic copyists transmitted the Song of the Sea with utmost care. Apparently they were aware of its unique quality. They copied it in a special symmetric layout that resembles brickwork, with two blank spaces in the even lines and one blank space in the odd lines. This arrangement was chosen not only for its beauty but also for its meaning, with each of the spaces marking the end of a colon (a small poetic unit that must be sung in one breath). The importance of this brickwork layout is reflected in the fact that it is reproduced in every Torah scroll used in synagogues today. In the Dead Sea Scrolls, the Song of the Sea does not yet have this special layout. But it does appear in the Ashkar-Gilson Manuscript! This marks the first time the brickwork pattern is found, without any deviation from the later arrangement. Found in Beirut, Lebanon, by Fuad Ashkar and Albert Gilson in 1972, the Ashkar-Gilson Manuscript might have originated in the Cairo Genizah. 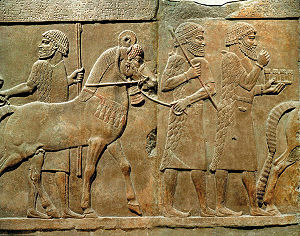 However, since Ashkar and Gilson purchased the manuscript from an antiquities dealer, the provenance of the piece is not certain. Ashkar and Gilson donated the manuscript to Duke University. Since 2007 Duke has lent the piece to the Israel Museum, Jerusalem, where it is currently stored in the Shrine of the Book. Excerpted from Paul Sanders, “Missing Link in Hebrew Bible Formation,” BAR 41:06, Nov/Dec 2015.